*DOES NOT include the investment in contractual improvements. In Spain, work was carried out in 2016 to give continuity to the efficient energy processes put into operation in the previous year, as well as the implementation of new projects focusing primarily on establishments and warehouses. In regard to stores, the efficiency projects have focused mainly on the DIA Maxi and La Plaza de DIA formats, where traditional lighting has been changed to LED lighting both outside the establishments, including the parking lots of DIA Maxi, as well as the reserve areas. Similarly, progress has been made in the modernisation of central cooling and chambers, in line with the project started last year, and online automation systems that allow greater control and monitoring have been installed. As for warehouses, the automation and monitoring systems have been improved to achieve better follow-up, and LED lighting hoods have been installed in the dry food rooms. This project has involved over 400 establishments in Spain and 7 warehouses at the end of the financial year, for a total investment of EUR4.33m. 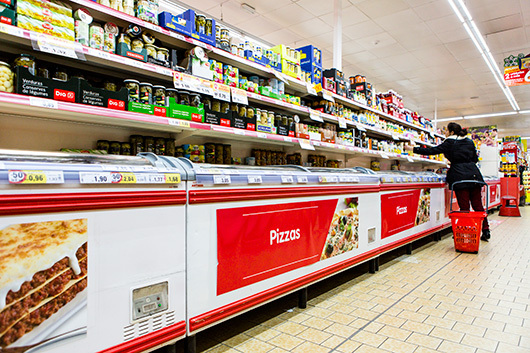 Portugal has undertaken a renewal plan and the installation of in-store capacitor batteries, in addition to replacing the old cold display case ventilators with electronic models. Furthermore, the former semi-open cold cabinets have been replaced by display cases with doors that allow greater savings. As for warehouses, as in Spain, the renewal of traditional lighting to LED lighting has been undertaken. 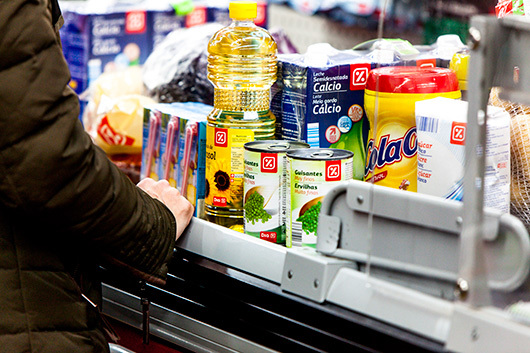 The efficiency processes applied in Portugal during 2016 have involved more than 150 stores and two of the company’s three warehouses, following an overall investment of EUR1.2meuros. 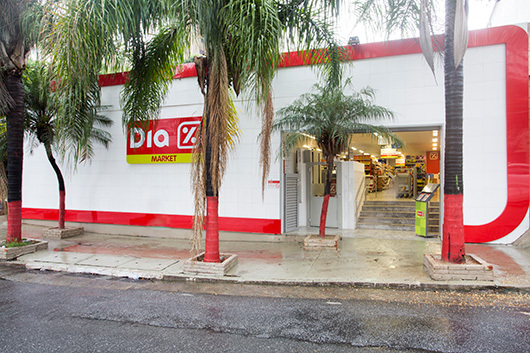 Brazil has implemented a renewal project and the installation of doors in the cold display cases in stores, in addition to replacing traditional lighting with the LED system. In regard to warehouses in Brazil, a change in lighting towards the LED model has also been undertaken for more efficient functioning. The energy efficiency projects applied in Brazil during 2016 involved over 300 stores and two warehouses, for a total investment of EUR2.7m. 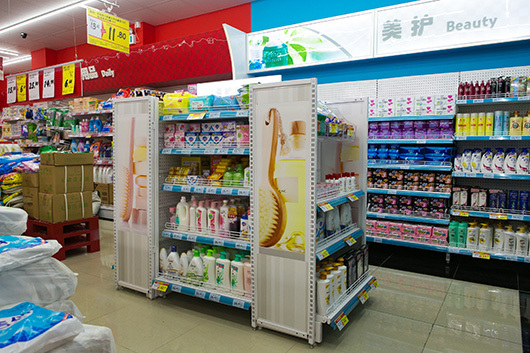 At the end of 2016, all stores in the Chinese market already had LED lighting and a total of 196 establishments had ventilators with EC motors, a technology that combines alternating and continuous voltage and allows greater efficiency and flexibility of systems. 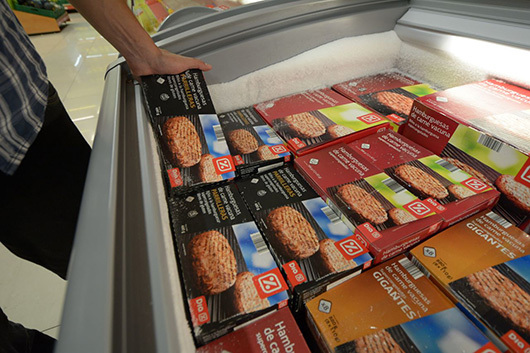 During 2016, the energy efficiency projects involved 40 stores, in which new doors have been installed in the cold display cases. For the upcoming year, this project is expected to continue. It should be noted that energy prices in Argentina are well below those of the other countries in which the company operates.